Las Vegas W Blog | BrightStar Care " "
Now Hiring Nurses – LPNs – Steady Work! We are hiring LPNs for part-time and full-time work. Steady, appreciative clients, flexible nursing schedules, slower-paced environment. BrightStar Care is a home health company that believes in Serving with Passion and Doing the Right Thing. Our Standard of Excellence is our calling card! We treat our LPNs and our clients the way we want to be treated – extremely well! Paid Time Off – although it’s rare in the Home Health field, we offer Paid Time Off (PTO) for our LPNs! Rewards for great LPN work – an employee Raffle including grand prizes! 90-day review and possible raise. We value our LPNs! Annual reviews and possible raise – we value communication and reward our dedicated workers! Staff meetings and training for our employees to gather, celebrate, and learn together! Priority - Nurses with prior Home Health/Acute/Skilled experience. LPNs must have strong clinical skills including vent/trach and wound care experience. Consistent LPN full-time or part-time schedules available. Minimum of one (1) year of documented experience is required. Treats clients, staff and the public with courtesy, respect and presents a positive public image. 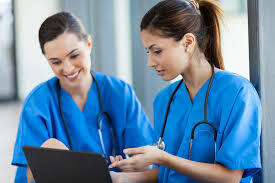 Ensures confidentiality and security of the client's medical information.